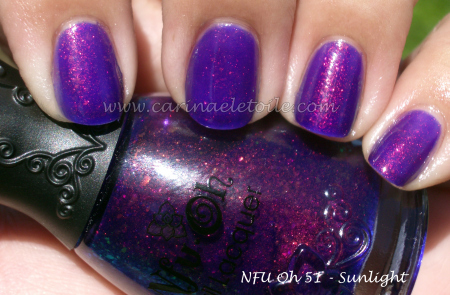 I swear to you…my NFU Oh stash is almost gone. I have lofty goals to add more, though. 😉 You know you love me. 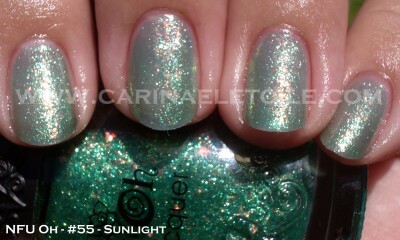 This is a green that I like to use over some colors. 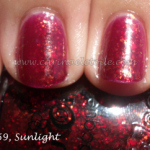 It’s sheer and you may have seen me use it over a color in a swatch I did a while back. I’d link it, but I am feeling too lazy to cut and paste. It’s a little after midnight here and momma’s off to bed! Hope you like this magical green…Happy Monday! 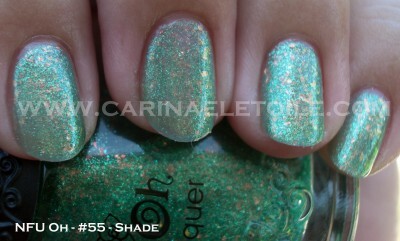 This shade shot makes me vaguely think of St. Patrick’s Day – what do you think?